Many people are well aware of the concerns about the effect of mercury on the human body. Mercury exposure can increase risk for negative effects on the brain and kidneys as well as allergic reactions. Some people even go to great lengths to avoid mercury exposure in their diet and immediate environment. It may surprise some that one of the most common exposures to mercury is from dental amalgam, a combination of silver, tin, copper, and mercury that is estimated to be in over 80 percent of the fillings in America. Mercury exposure risk increases as it is heated, which is precisely what happens during daily activities such as brushing teeth, eating, or grinding or clenching the teeth. Color – Traditional metal fillings are silver and they stand out and are detrimental to the aesthetics of a patient’s smile. Composite fillings are tooth colored and blend in with a patient’s natural tooth color for a beautiful smile. Durability – Composite fillings are not sensitive to temperature and are less likely to crack or pull away from teeth, making them a longer-lasting alternative. Avoidance of toxic exposure – Composite fillings are made up of biocompatible materials, making them safe and free from toxic materials. Patients who currently have amalgam fillings can benefit from a holistic dentist who is trained in the safe removal of mercury fillings. 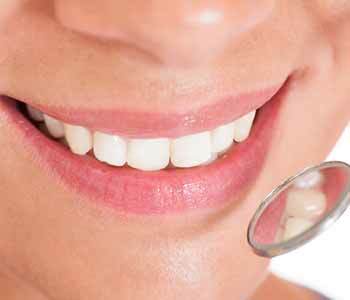 As a holistic dental practice, we focus on the correlation between oral health and the wellbeing of your entire body. Holistic dentists are committed to using biocompatible materials that are safe for you. We focus on treating the patient as a whole and take time to explain the purpose behind each recommended procedure along with the materials that will be utilized. Lakewood residents who seek treatment from a holistic dentist can trust that they will receive highly focused care from South Lakewood Dental that centers on the connection between mind, body, and spirit.